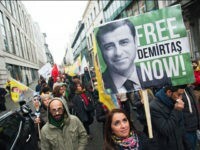 The European Court of Human Rights (ECHR) on Tuesday urged Turkey to release pro-Kurdish opposition party leader Selahattin Demirtas from detention. 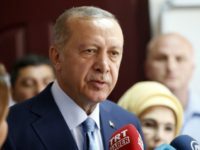 Turkey’s ruling and opposition parties have launched the final stretch of this year’s presidential campaign, with elections scheduled for Sunday, amid widespread concerns that President Recep Tayyip Erdogan will cruise to an easy win through irregular voting situations and possible election fraud. 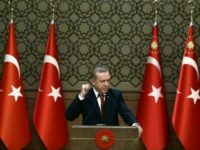 The major opposition candidates in Turkey’s presidential election, scheduled for June 24, have launched campaigns against President Recep Tayyip Erdogan and have strategically avoided targeting each other, instead spending much of the week condemning Erdogan’s moves towards an Islamist dictatorship. Presidential candidate Selahattin Demirtas of the Peoples’ Democratic Party (HDP) gave a remarkable campaign speech to Turkish voters on Sunday. 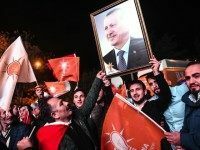 His supporters say Demirtas is the only real challenger to incumbent President Recep Tayyip Erdogan, even though Demirtas is running with a rather large handicap: he is in jail. 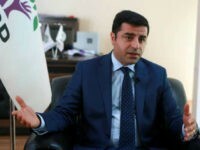 Jailed pro-Kurdish presidential candidate Selahattin Demirtas delivered a campaign speech from his cell in Turkey on Wednesday, following Ankara’s rejection of a request to free him to allow him to campaign. 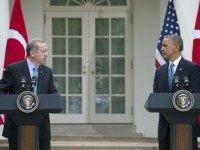 He delivered the speech via a telephone call to his wife. 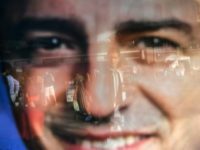 An Ankara court turned down an appeal this week from the pro-Kurdish Peoples’ Democratic Party (HDP) to release its jailed presidential candidate, Selahattin Demirtaş, in time for Turkey’s snap elections in June. 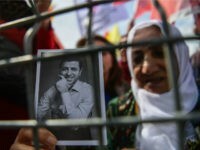 Lawyers of the imprisoned presidential candidate of the pro-Kurdish Peoples’ Democratic Party (HDP), Selahattin Demirtaş, appealed to an Ankara court this week for his release in time for the June 24 elections. 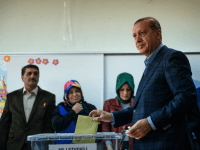 The pro-Kurdish, anti-Islamist People’s Democratic Party (HDP) may run its imprisoned former co-chair, Selahattin Demirtaş, as a candidate against President Recep Tayyip Erdoğan in elections scheduled for June. 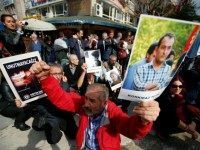 The head of Turkey’s leftist, anti-Islamist Peoples’ Democratic Party (HDP) announced this week that he will begin a hunger strike from prison where he is awaiting trial for allegedly supporting terrorists. 2016 was a difficult year in many parts of the world for those who sought to be different under authoritarian regimes. Whether Communists, Islamists, or the religious intolerance of their own families, these individuals took a stand and, in some cases, paid the ultimate price to advocate for freedom. 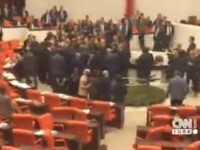 A debate over the arrests of dozens of legislators representing the pro-Kurdish People’s Democratic Party (HDP) triggered another fist-fight in the Turkish parliament this week, where the atmosphere has become increasingly volatile between the ruling Justice and Development Party (AKP) and minority members. 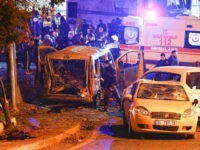 The Turkish government has arrested 235 people and counting following a deadly terrorist bombing near a football (soccer) stadium in Istanbul, claimed by a Kurdish separatist terror group. 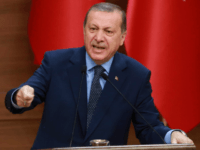 “I don’t care if they call me a dictator or whatever else,” Turkish President Recep Tayyip Erdogan said in a defiant speech this Sunday, objecting to those who have called the mass arrests of opposition legislators an alarming challenge to the nation’s democratic institutions. 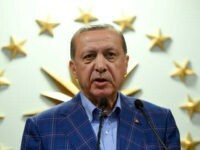 After repeatedly accusing its members of being “supported by a terrorist organization” and “backing suicide bombers,” the government of Turkish President Recep Tayyip Erdogan has finally arrested the senior leadership of the Kurd-friendly People’s Democratic Party (HDP) in a midnight raid. Following a week that has seen multiple fistfights erupt in the Turkish Parliament, minority party co-chair Selahattin Demirtaş has threatened to take his Peoples’ Democratic Party (HDP) and form a separate governing legislature. 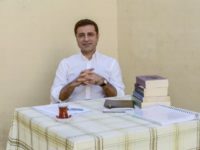 On Tuesday, Germany’s Der Spiegel published a lengthy interview with Selahattin Demirtas, leader of the Kurd-aligned HDP Party of Turkey. 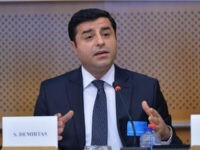 Demirtas leveled some serious allegations against Turkish President Recep Tayyip Erdogan, saying the Kurds stood in the way of Erdogan’s creating an Islamic State-style (ISIS/ISIL) “Caliphate” of his own, and warning that Erdogan’s war against the Kurds could make the already-fearsome refugee crisis in Europe even worse. 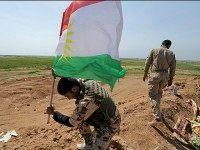 Democratic Party (HDP) has accused the ruling Justice and Development Party (AKP) of acting as “an extension of ISIS” (Islamic State) in an emotional defense of Syrian Kurdish militias that President Recep Tayyip Erdogan has declared terrorist groups tied to the Marxist Kurdistan Workers’ Party (PKK). 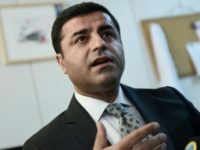 Selahattin Demirtaş, the head of the pro-Kurdish opposition party in Turkey, will visit Moscow this week to speak to Russian Foreign Minister Sergei Lavrov and open a satellite office for his party. 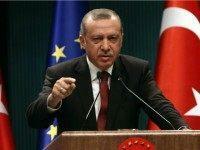 The meeting follows a tense several weeks in which Turkey and Russia have all but severed their diplomatic ties. 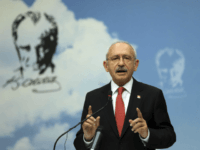 Those who suspect the surprise victory of the ruling Justice and Development Party (AKP) in Turkey’s national elections Sunday was fraudulent may have more evidence to support their theory: the astronomical increase in registered voters between the last election in June and Sunday’s referendum. 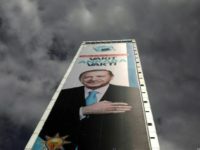 With 95 percent of the vote in, President Recep Tayyip Erdogan and Turkey’s ruling Justice and Development Party (AKP) appear to have solidified their control of the nation’s Parliament, with significant losses for Kurd-friendly leftist People’s Democratic Party (HDP) and main opposition Republican People’s Party (CHP).